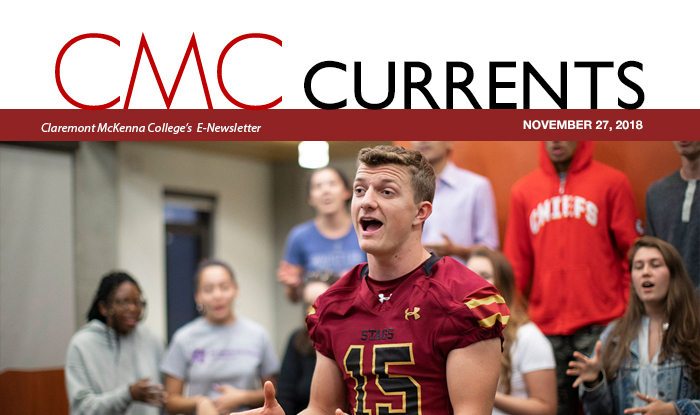 Zach Fogel ’22 passed on Broadway—to do college his way. 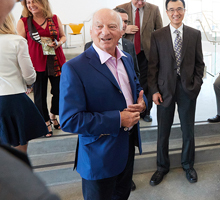 The initiative will inspire gifts totaling $100 million by matching future donations. 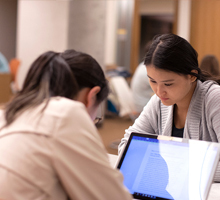 The Murty Sunak Quantitative and Computing Lab helps students apply data science to all subjects. 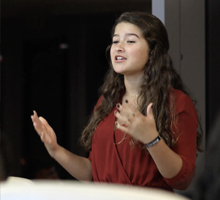 Video: Collaboration is the key to CMC’s champion Model UN team. 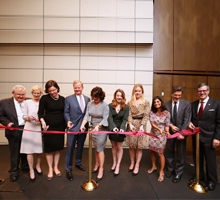 The ceremony honored Steven L. Eggert ’82 P’15 and family for their long history of contributions. 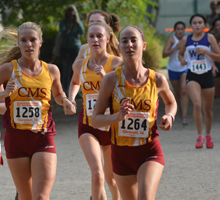 Four CMS fall sports teams won SCIAC regular season and/or SCIAC Tournament championships. 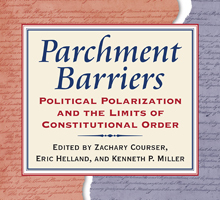 Professors Zachary Courser, Eric Helland, and Kenneth Miller talk about their new book, Parchment Barriers: Political Polarization and the Limits of Constitutional Order. 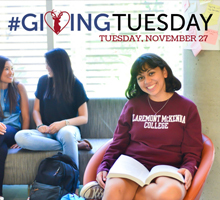 Please consider making a gift to CMC for #GivingTuesday!